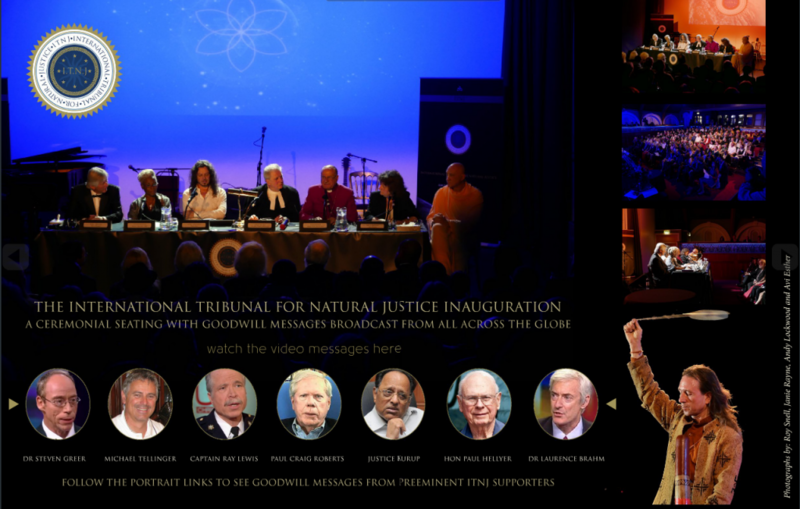 In celebration of the launch of the ITNJ, the Inauguration Event held on the eve of the 800th Anniversary of the signing of the Magna Carta featured goodwill messages from several preeminent supporters of the ITNJ. More photos and videos of the Inauguration Event and the official Ceremonial Seating are included in the Commemorative Issue of The Sovereign Voice magazine, and more details about the events are provided in official press releases. Videos are linked and transcripts will be provided below as they become available. Congratulations on your incredible achievement. The idea of an International Tribunal for Natural Justice (ITNJ) is profoundly right for the times. As the late Pierre Trudeau would have said, “The universe is unfolding as it should.” So my hat is off to you and your colleagues for filling the link in international jurisprudence. I do hope that you will be able to persuade the United Nations to adhere. Please know that my thoughts and prayers will be with you as you launch this historic initiative. Your Grace, Your Worship, Excellencies, Distinguished Ladies & Gentlemen at this auspicious Ceremonial Seating of the International Tribunal for Natural Justice. I am Justice Kurup, former Ag. Chief Justice, High Court of Madras, India sending all best wishes to my professional colleagues and interested citizens alike – gathering in London on this the eve of the 800th anniversary of Magna Carta. Let this day become the new line in the sand. Let us recall the spirit of the Magna Carta as the basis of the Declaration of Human Rights, the Bill of Rights and the foundation of all that is founded in reason and common sense in law. It is time to restore the rule of law – and reclaim natural justice to the good people of the world from systems and institutions gone rogue. I stand with this International Tribunal as it reminds the world-at-large that the true Sovereign is as it has always been….the free and sovereign Peoples of the World!